In 2018 AFL Brisbane Juniors increased to 6,953 players, across 433 teams and 48 competitions. 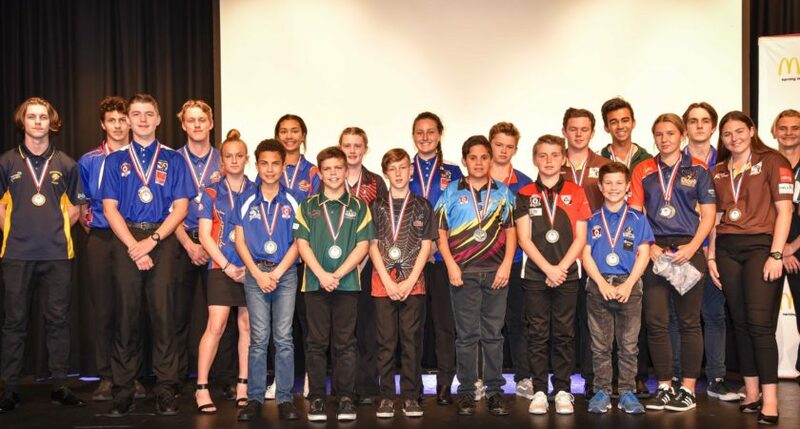 On Monday night the best of these Brisbane Juniors came together with family, friends and volunteers at Kedron Wavell Services Club to celebrate the 2018 AFL Brisbane Juniors Gala Awards Night. The night’s top honour, the O’Callaghan Medal, was awarded to Maryshae Green from Moggill. Playing in the Under 13 Division 3 girl’s competition she polled the most votes in any division with 32 votes. Maryshae is the second female to be awarded the top honour, after Ashlee Sciortino from Forest Lakes Dragons received the medal in 2016. The 2018 EXIMM Junior Club Person was awarded to Charlie Selth from Wests Juniors. At just 15 years of age, Charlie’s active involvement across all aspects of his club is outstanding. His roles have included; welcoming new club members, coaching the Wests Juniors Roy’s Junior Footy team, junior umpiring, running water and generally being available for any job that needs to be done. Congratulations to all the night’s winners, and best of luck for all those competing in finals. Awarded to the player/s who receives the most votes from the umpires during the Home & Away season, by age group. The George Turnbull Medal is awarded to the player/s who receive the second highest number of votes from the umpires during the Home & Away season, regardless of the age group. The O’Callaghan Medal is awarded to the player who receives the most votes from the umpires during the Home & Away season, regardless of the age group.